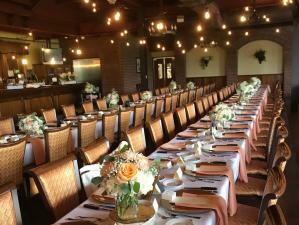 If you’re looking to make your next special occasion truly a night to remember, the Frankenmuth Brewery’s banquet facility is the ideal setting for any occasion. 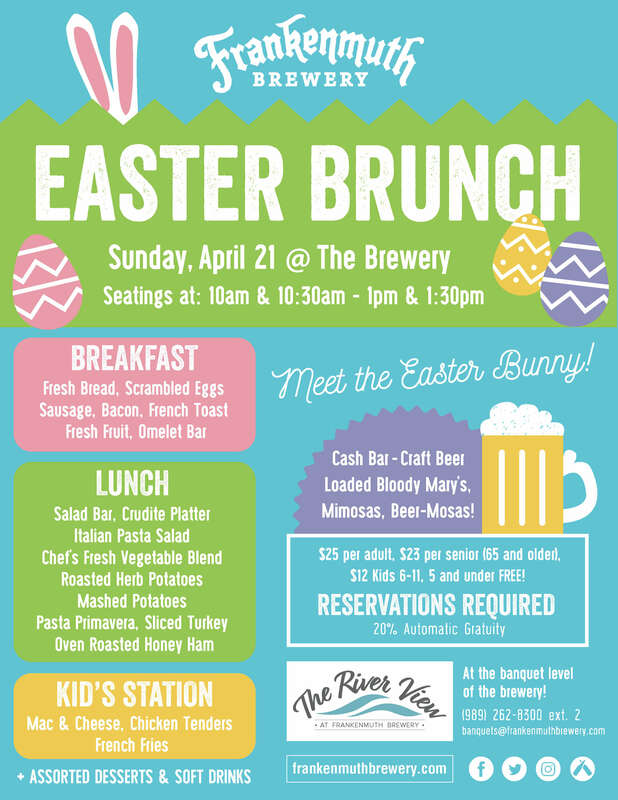 Enjoy the brewery’s outstanding selection of fresh cuisine, an award-winning lineup of craft beer and wine, and first-class service as you take in the breathtaking view of the beautiful Cass River. 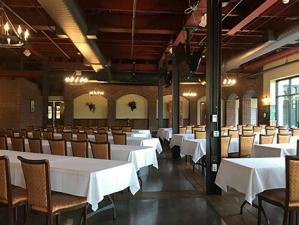 Whether you’re looking for an intimate setting for a small gathering, or a full-blown, lively atmosphere with 275 guests, the Frankenmuth Brewery is the perfect venue to make your event a memorable one. 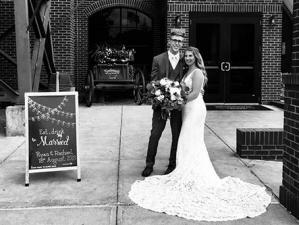 For a truly unique wedding reception choose The River View at Frankenmuth Brewery. We have several beautiful rooms available to hold your wedding reception. Our dedicated coordinators will be honored to help you plan your big day. 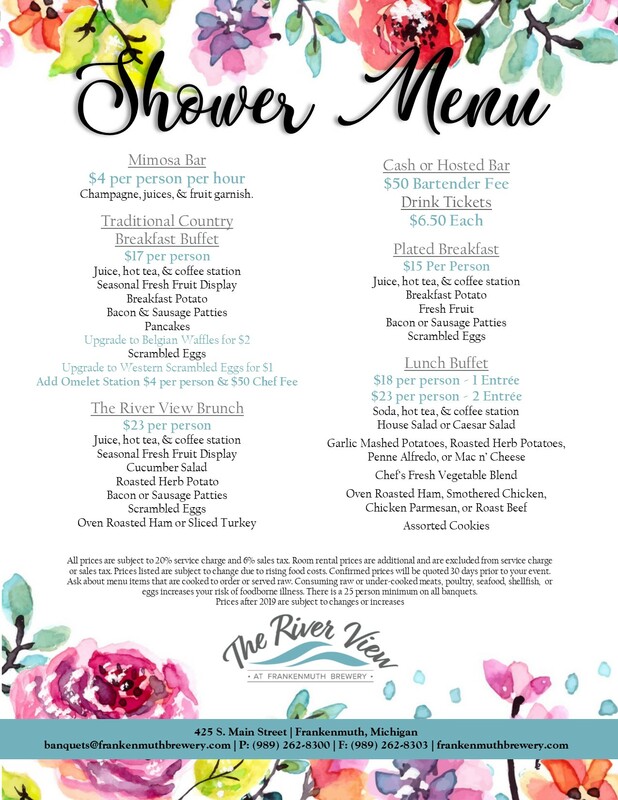 Let us make your wedding memorable and wow your guests with our beautiful views, gorgeous rooms, craft beer, delicious menu, and professional staff! Looking for a location to host a birthday party, family reunion, or office party? The Frankenmuth Brewery’s fantastic service, great food and drinks, and scenic river views are sure to make your next private party a hit. Break away from the boardroom and head for the Frankenmuth Brewery’s full-service banquet facility for exceptional service and delicious food. We have an array of audio and video equipment available to make your next seminar, business meeting, or corporate event a success. 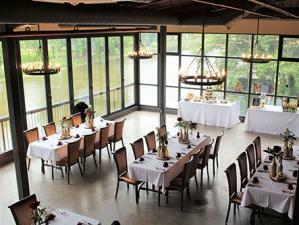 The River View at Frankenmuth Brewery is the perfect place for banquets. We have a variety of rooms that can accommodate an event of any size. Let our dedicated coordinators assist you in planning the perfect event. Our beautiful views, gorgeous rooms, craft beer, delicious menu, and professional staff are perfect for any type of event you may be planning! HOST YOUR NEXT EVENT WITH US!Fill out the fields below to get started. There’s no better spot to take in the beauty of Frankenmuth than at the Frankenmuth Brewery. Enjoy fantastic food and drinks while admiring the sights and sounds of the scenic Cass River. The intimate setting of the brewery makes for a great atmosphere for any dining experience, whether you’re just out for dinner and drinks with a small party or enjoying a special occasion with all of your family and friends.